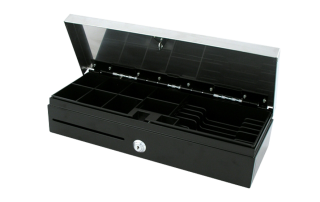 The versatility and quality construction of the Partner Tech’s FT-460 FlipTop cash drawer make it a smart choice for your business. 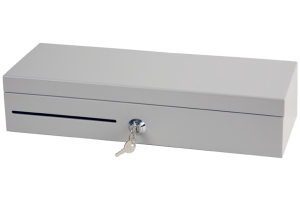 There is no need to choose between security of the cash in the till and great customer experiences at the checkout. 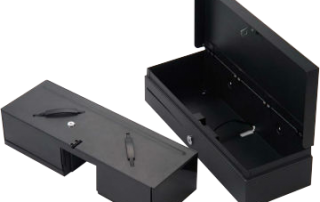 With the FT-460, you can have it all. 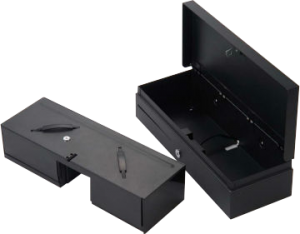 The FT-460 has a practical design. 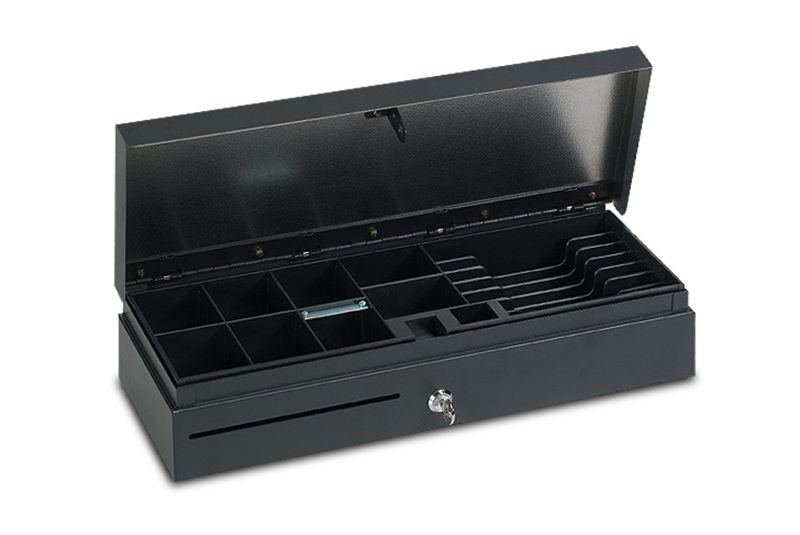 The drawer is divided into configurable compartments, five for bills and eight for coins. 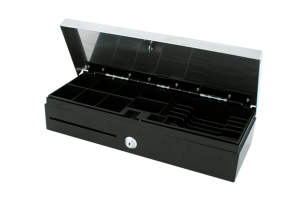 This gives you the flexibility to arrange the cash drawer in a way that makes the most sense for your businesses and enhance cashier efficiency, enabling a quicker and more convenient checkout experience. 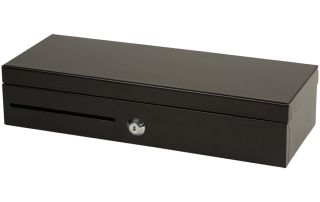 Partner Tech has designed the FT-460 with robust loss prevention measures. 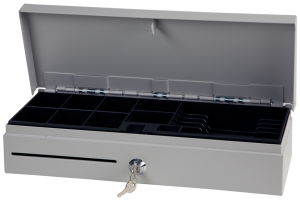 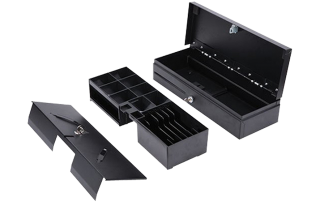 The cash drawer includes a lockable lid and a three-position security lock. In addition, the FT-460 includes a micro switch, which detects open and closed status of the cash drawer. 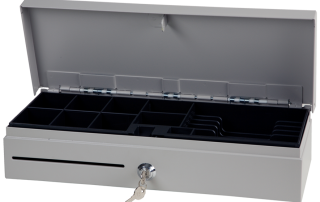 The heavy-duty, all-steel FT-460 cash drawer also features a housing fitted with strong resistant hinges that stand up to high-volume use. 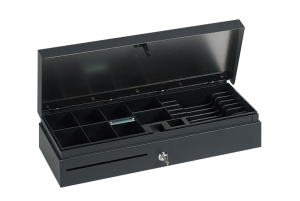 The FT-460 is available in black or light grey to complement your POS system and your brand. The FT-460 includes a printer-driven interface and can be supplied on request with either an RS232 or a USB interface.